Physical characteristics: Manx shearwaters weigh anywhere from 12.3 to 20.3 ounces (350 to 575 grams) and are 11.8 to 15 inches (30 to 38 centimeters) long. Their wingspan is 29.9 to 35 inches (76 to 89 centimeters). The upper body is black with white underneath. 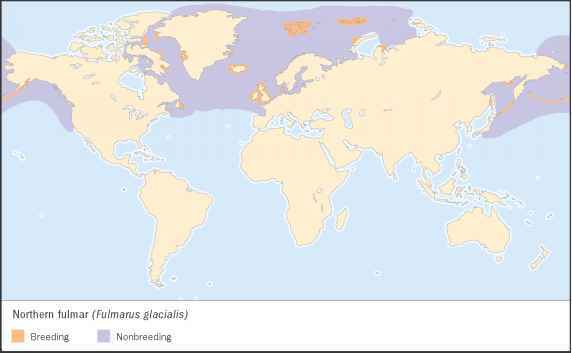 Geographic range: Manx shearwaters breed mostly on the coastal cliffs around the North Atlantic Ocean, with a large population in Britain and Ireland. They spend the winter months off the coast of Brazil, Argentina, and Uruguay. Habitat: Manx shearwaters burrow on offshore islands and coastal hills. Diet: They eat mostly squid, crustaceans, and shoaling fish, small fish that travel in large schools. Behavior and reproduction: Manx shearwaters glide along the ocean's waves and are known to dive and swim near the surface to feed. Breeding colonies can include hundreds of thousands of pairs of birds who gather at night, with the breeding season beginning in March. Although silent on the water, the calling of the birds at the breeding site is near deafening. 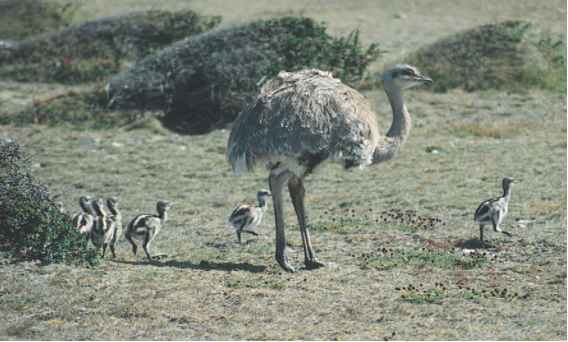 One egg is laid in mid-May and incubates, warmed by parents, for forty-seven to fifty-five days. Chicks fly on their own after sixty-two to seventy-six days. First breeding occurs at five or six years of age. 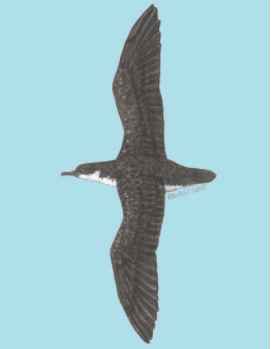 Manx shearwaters and people: The Manx shearwater used to be hunted for food, but today is basically left alone.